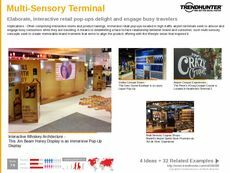 Find Better Ideas, Faster ® with a custom multi-sensory entertainment trend report, our PRO Dashboard and 80+ categories of premium trend reports. 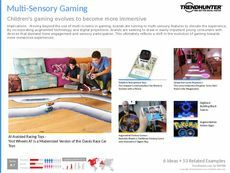 Trend Hunter's Multi-Sensory Trend Report is an exciting look at both the present and future possibilities of entertainment as we know it. We explore intriguing concepts and technology that push the boundaries of the entertainment experience beyond just sight and sound. 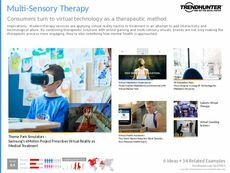 In this report, readers will also be treated to an in-depth look at market behaviors, identifying which demographics respond favorably to new sensory entertainment trends. 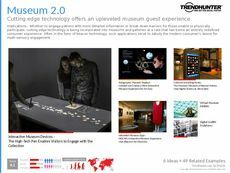 Make the most of your time with Trend Hunter's streamlined look into the highly detailed intricacies of the multi-sensory entertainment experience. 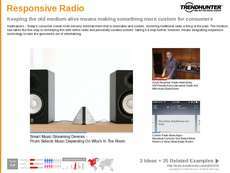 Learn about new technologies as they start to emerge in real-time thanks to our proven crowdsourced research methods and dedicated experts. Featuring the latest attractions and projected technologies, the Multi-Sensory Entertainment Trend Report will provide an eye-opening look at the modern entertainment industry.